Doing an eight-hour shift, the man said, “made you feel like you were only putting in a half days’ work.” So, after coming home, he would head out to a workshop on the family farm in Michigan where his cousin joined him. By the glow of lantern light, they tinkered. In their 20s, Edward Shoemaker was older, and mechanically inclined. Edwin Knabusch was an aspiring woodworker. With a few tools, they crafted their own gadgets and used them to make cabinets, racks and cupboards. 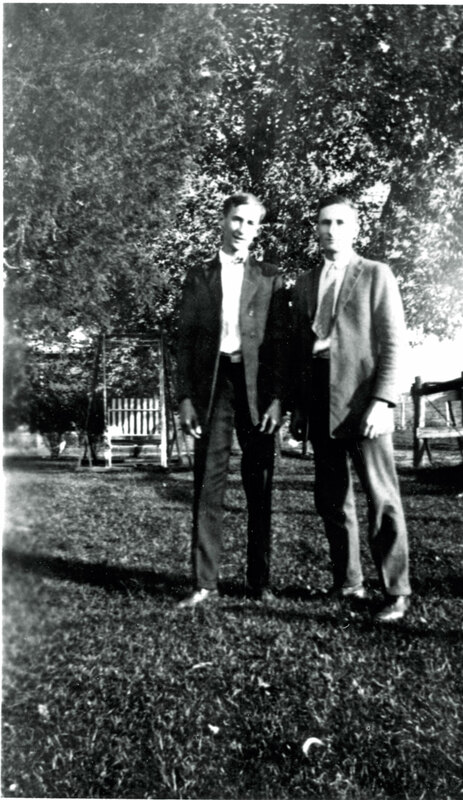 Always driven, in the spring of nineteen twenty-five, Ed Shoemaker completed a mail-order drafting course. With new knowledge, he began refining the mechanics of a wooden folding chair they had created. “The secret of the whole thing was getting the linkages right—to avoid any sliding,” he said. So, he created what he needed, and earned the first of many mechanical design patents he would achieve during his lifetime. Without peer, the mechanically sound wooden patio chairs sold well very well and led to the establishment of the Floral City Furniture Factory in Monroe, Michigan. The cousins built the 3-story factory from the ground up, then assembling and installing all of the manufacturing equipment. They designed and constructed new machinery and safety systems too, resulting in more patents. The wooden chairs were popular. But at the suggestion of a Toledo department store buyer, Ed created an upholstered version that sold like gangbusters. 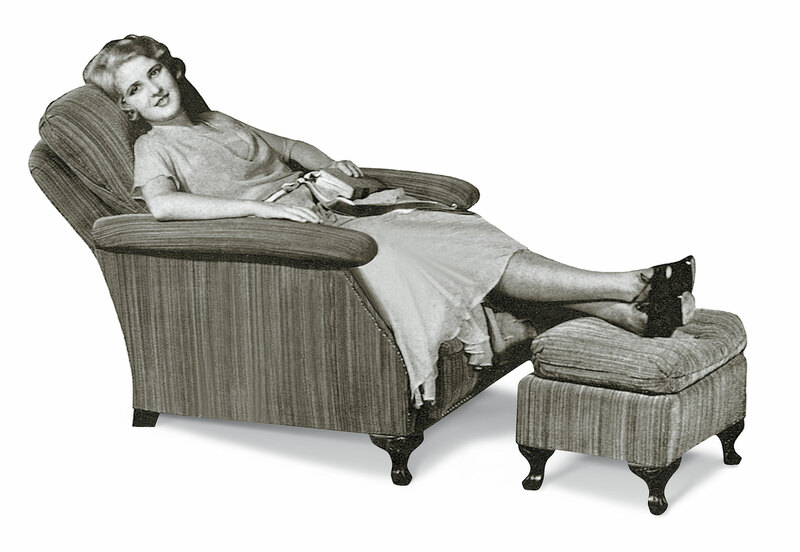 A 1933 La-Z-Boy recliner–the name was suggested by a factory employee. Suddenly the company was on the precipice of a comfort revolution. People could enjoy a smoothly reclining. fully padded, chair. They could sit tall, stretch out, or relax, feet up, somewhere in between. The iconic La-Z-Boy recliner was born. That was 90 years and multi- millions of chairs later. Now, more than legendary recliners, La-Z-Boy manufactures sofas, sectionals, loveseats; in fabrics and leathers, with memory foam, and dual motors, plus hardwood furniture too. A testament to the innovation started with its founders, the company to this day maintains 246 active U.S. patents. It employs 6,300 people nationwide; in its Michigan headquarters, five U.S. manufacturing plants, six U.S. distribution centers, and 142 corporate-owned La‑Z‑Boy Furniture Galleries® stores and 205 locally owned stores. In Oregon, the third generation furniture retailer, Brad Parker, with his family, owns and operates six locations, including Delta Park, Clackamas, Tualatin, Tanasbourne, Salem and Eugene. Since 1995, nearly a quarter million customers from Oregon and Southwest Washington have chosen La-Z-Boy furniture for its legendary comfort and style. So cheers for the cousins, Edward M Knabusch and Edwin J Shoemaker who built a game-changing piece of furniture and a company that evolved into an American success story with a brand that has become a household name. La-Z-Boy, oh boy! Now it’s so much more. Cory Company is proud of the long lasting relationship it has maintained with Parker Enterprises for 11 years, providing marketing and advertising services including media planning, copywriting and production. Pull Up a Chair and Settle in.